The Vogue DKNY 1179 goes to Susan and the Manequim November 2009 goes to Emily of Calico Stretch. Congratulations guys, and thanks for commenting. Please contact me with your address details and I’ll ship your wins out to you. February giveaway update. 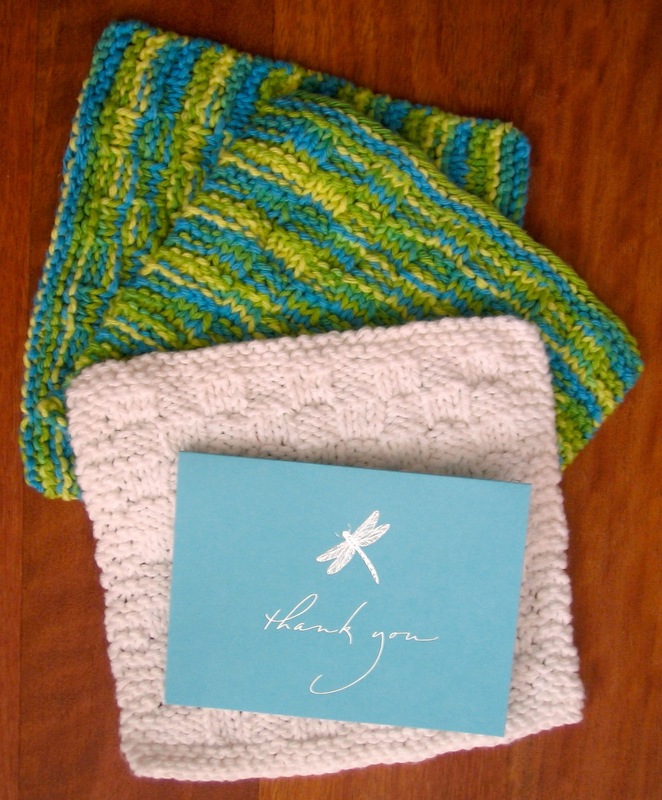 Sarah, who won the Knipmode special supplement from my Sew Grateful giveaway sent me a lovely handwritten thank you note and these beautiful handmade washcloths, which Carl excitedly assumed were pattern pieces for a ‘winter bikini’ (?). "Yaay winter bikini, my baby can be warm in style!"